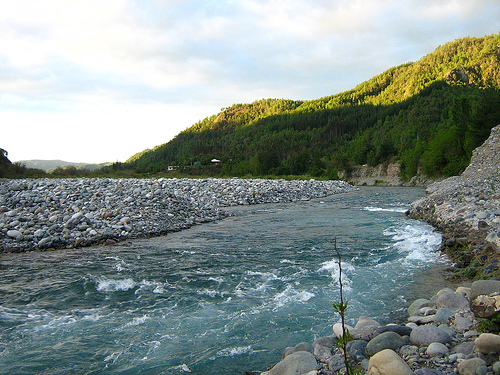 The Loa River is the longest river in Chile, with a length of 440 kilometers. It is the main watercourse in the very arid Atacama Desert. Its origins begin in the mountain slopes of the Andes, at the foot of Mino Volcano. It then flows from the mountains southward, on an elevated plateau into the oasis of Chiu Chiu. It then flows west and north through a great curve, from the city of Calama to Quillagua, where its channel goes dry and the water flows westward. The lower course of the river then goes through a 500 meter deep canyon through the Chilean Coastal Range. It then empties out at the Pacific Ocean. The water is not used for drinking or many other purposes because it is very polluted from mining. Sometimes people use it in towns to farm shrimp. 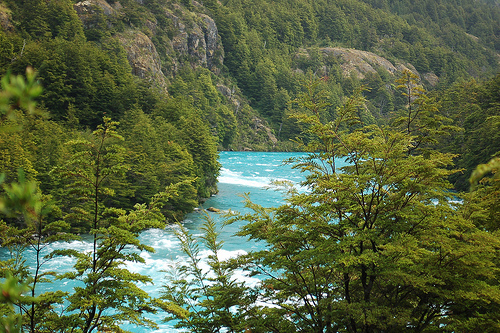 The Baker River is a very scenic body of water that is located in Chilean Patagonia, and is 170 kilometers in length. In terms of volume, it is Chile’s largest river. 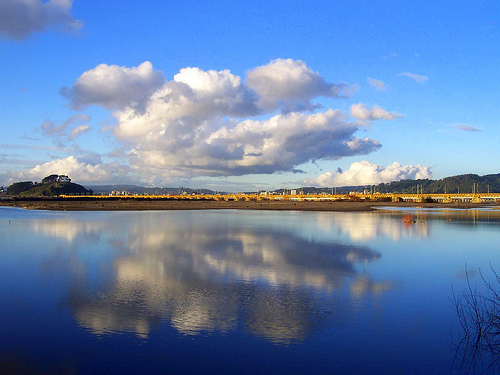 It flows out of Bertrand Lake, which is fed by General Carrerra Lake. The Baker River then flows through the Northern Patagonia Ice Field before emptying into the Pacific Ocean. Its water is shaded turquoise-blue because it is fed by the surrounding glaciers and their sediments. 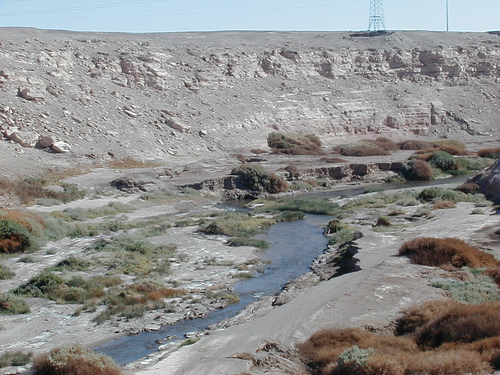 The Bio-Bio River is the second longest Chilean River, with a length of 380 kilometers. Its origins are in the Andes Mountains, in the Icalma and Galletue lakes. From there, the lake turns northwestward and goes through many mountain valleys. Its water gets fed by some glaciers in the Sierra Nevada area. After that, it runs rapidly through a narrow canyon, then to an Intermediate Depression through a flat area. Several other rivers then meet up with it and flow onward. It eventually empties out into the Pacific Ocean. The Maule River is 240 kilometers in length; it used to be the southern limits of the Inca empire.. It plays an important role in Chilean history, like in Inca history, the Spanish conquest through the colonial period through the wars of independence up through modern history. The Maule is also is used for agriculture and the production of wine and other produce, as well as playing a role in the country’s folklore and overall heritage. Many people have been named after the river. The Maule River originates in the Andes, near the Argentine border. It then is used to form a dam in the central valley, and flows until it empties to the Pacific Ocean.